»Have You Visited These Saltwater Lakes Of India? Have You Visited These Saltwater Lakes Of India? Have you ever wondered what actually a saltwater lake is? Let us make it easy for you. Also referred to as hypersaline lakes, saltwater lakes are the ones which contain a high amount of salts and minerals compared to seawater. It shall also interest you to know that this type of lake becomes a brilliant source for salt production as the water evaporates but the salts and minerals are left behind. The Sambhar Lake of Rajasthan can be voted for as India's largest inland saltwater lake, whereas Chilka Lake of Odisha takes away the prize for being India's largest brackish water lake. Brackish water can be interpreted as a mixture of both salt water and fresh water. Freshwater can be viewed on the top whereas saltwater occupies the bottom area. The word 'Sambhar' means 'salt' for starters. 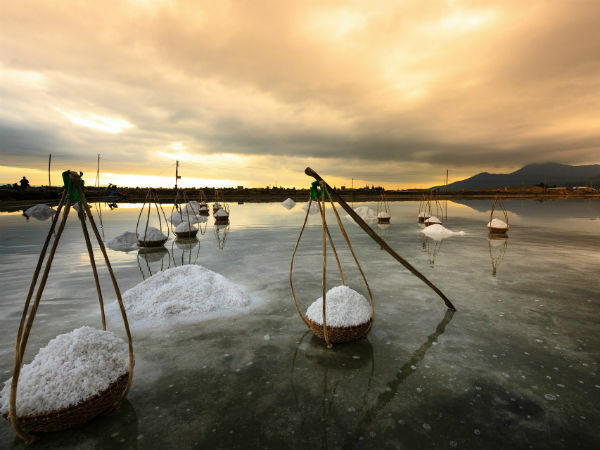 The Sambhar Salt Lake carries an interesting history with it. It initially belonged to one of the devil Lords 'Brishparva'. Would you believe that this biggest inland salt lake received a special mention in the 'Mahabharata'? Praise the Hindu deity, 'Shakambari Devi' who transformed it from a land of costly metals to one with a large amount of salt in order to avoid disputes. The Goddess had a temple dedicated to her in close proximity to the lake. The Sambhar Lake had a tough time being transferred between the Jaipur and Jodhpur Lords before finally being turned to the British. It was only after independence that the government of Rajasthan was handed over the reigns of the lake. Any mode of public transport can be used to reach the lake which is only at a distance of 80 km from the city of Jaipur. It is also a Ramsar Site. When we say a particular place is a Ramsar Site, it simply means that the place holds international importance under the Ramsar Convention which is an international environmental establishment. A lot of migratory birds find their homes in this saltwater lake after coming from the Rann of Kutch. Mesmerizing pink flamingos, black-winged stilts, red-shanks, storks and sandpipers are a spectacular view here which one should not miss. It is a lovely sightseeing the tall birds take flight in huge numbers when they fly by the blue-green microalgae which change shape when the salinity of the lake is medium. The place is quickly becoming a popular tourist attraction. Flat landscapes are not as appealing to the eye as is one comprising ecological diversity. The Lonar Lake located in the Buldhana district of Maharashtra stands out due to its uniqueness. A mixture of both alkaline and saline water at the same time, it is home to some of the rare species of organisms. In the vicinity of a jungle lively with greenery, the lake is sprinkled with minerals, such as maskelynite and age-old temples whose only inhabitants are currently bats and ants. An interesting fact to take into account is that according to NASA, the visibility of the Lonar crater in volcanic basalt makes Lonar a suitable counterpart for impact craters on the moon. The pilgrims find it calming to visit the Ganesha temple, whereas the fact that Lord Vishnu took over Lonasur is beautifully celebrated via the Daitya Sudan temple. The architectural brilliance of all the temples including Kamalja Temple, Shankar Ganesh Temple and Gomukh Temple is praiseworthy. This lake which is an extension from Bhusandpur in the Puri district in the North to Rambha-Malud in Ganjan district in the South is Asia's most enormous brackish water lagoon. Again, it is a significant wetland due to the colourful array of birds it proudly boasts of in the form of 160 species in the peak season between November and February. The variety is countless: the white-bellied sea eagles, ospreys, golden plovers, sandpipers, flamingos, pelicans, shovellers, gulls as well as those coming from Iran, Central Asia and Siberia. 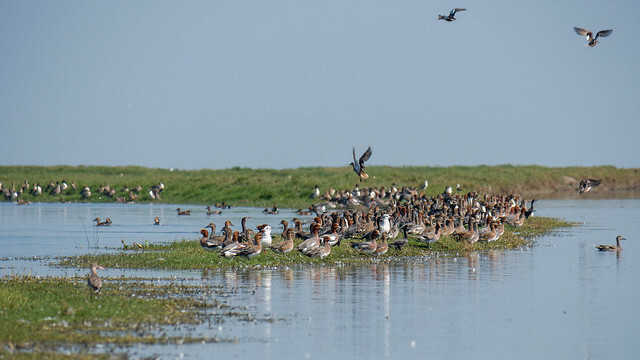 The Chilika sanctuary revolves around the Nalbana Island because of its varied biodiversity. Numerous islands decorate the Chilika Lake vicinity. This place is about 100 km from the city of Bhubaneshwar and can be travelled via both rail and road. The credit for the second largest brackish water lake or lagoon in India goes to the Pulikat Lake which is situated around 60 km north of Chennai city. The salinity touches down to zero during the heavy showers but shoots up to 52 ppm during post and pre-monsoons. The lake is perfect to nestle in the lap of Mother Nature. This is a major reserve for birds like flamingoes, kingfishers and storks and the peaceful atmosphere that one experiences is heavenly. Water activities and enjoyable sightseeing areas make it a pleasurable experience for the visitors. The buildings from the Dutch era also add a vibrant feel to the place. The salt lake in Pachpadra is located near Barmer district, in Rajasthan. Can you believe that the sodium concentration in it is up to the percentage of 98! Here people say, availing a tour package to view the mesmerizing lake is a good idea. You can gather your family and friends and a merry picnic can take place or you can spend some valuable 'me-time' here. The glistening water of the lake is quite enchanting and the display of thousands of birds flying overhead makes it picture-perfect. Naming another major attraction nearby could include the Mata Rani Bhatiyani Temple in the Jasol village. It is an ideal location to spend some leisure time. All these saltwater lakes are charming and should be put on your must-visit list!